Máme tu aktualizovanú verziu Horn of the Abyss s číslom 1.5.3, okrem už klasických opráv chýb z predchádzajúcej verzie prichádza so zmenou sekundárnej zručnosti Resistance. Zručnosti odolnosti voči mágii mala v bitkách skôr charakter náhody a artefakt Orb of Vulnerability úplne zrušil jej účinky. V novej verzii Horn of the Abyss sa zručnosť Resistance správa trochu inak a po novom redukuje silu kúzel protivníka (Spell Power). Inštalátor 1.5.3 už je dodávaný aj s HD modifikáciou, ktorá je odporúčaná, takže už ju nemusíte dodatočne sťahovať. Thorgirm v novej verzii Hor of the Abyss redukuje silu kúzel protivníka o 20% na pokročilej úrovni. The original Resistance mechanic was completely negated by the Orb of Vulnerability, which rendered the skill with already limited usefulness virtually useless. The new mechanic allows suppression of crucial spells like Elemental summoning and Resurrection. The new Resistance mechanic finally made the skill unequivocally useful, allowing the player to select it by choice, rather than by force. 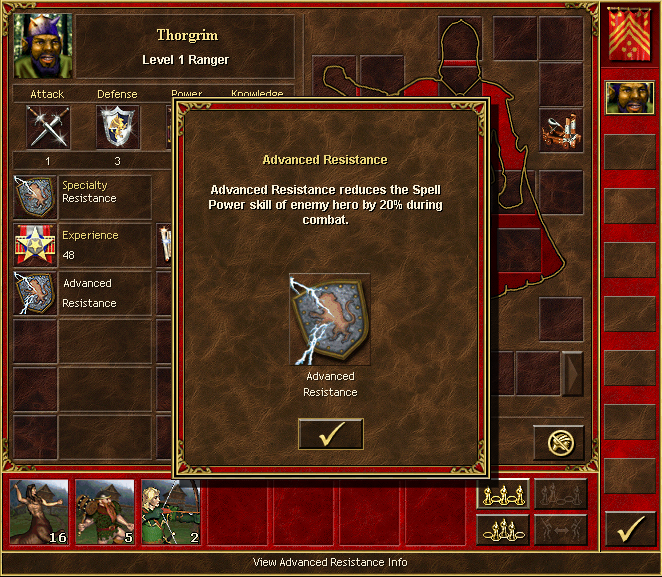 Notice that the old mechanic persists in the game as a creature ability. The gamble element cherished by many is preserved for existing tactics featuring such creatures. 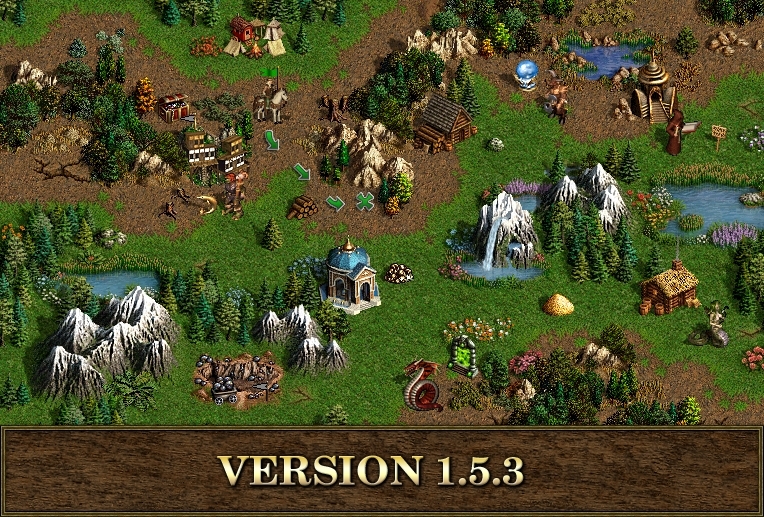 In order to allow the players to compare the two mechanics and appreciate the advantages of the new one, we introduced the test version option in the HotA 1.5.3 launcher. With it enabled, the game will employ the old Resistance mechanic. This will give the players who have unfinished games started with the old skill version the option to complete their games with all the advantages of the new stable release, albeit with the old skill mechanic. The Crew, however, is not planning on reverting the change; the old mechanic will be completely abolished by the next major release. Another important point is understanding that altered Resistance skill and rebalanced spells do not make up the entirety of our plans to rework the game’s magic system. These exact changes are merely measures to accommodate banning Orb of Negation and Recanter’s Cloak on all official templates. Simply speaking, these steps were made to allow for acceptable magic-based gameplay until next major releases are rolled out. A large-scale rebalancing operation is currently being planned; it will include altering magic skills (such as Eagle Eye and Mysticism), dealing with overwhelmingly useful (for instance, Mass Slow) and miserably useless (for instance, Magic Mirror) spells, and solving the issue of poorly interbalanced magic schools. This is a complex undertaking which is of high priority for upcoming releases. It is meant to be batch delivered in one update.